Blogs are so quick and easy to set up that you can start one without having much of a plan in place for what you want to blog about, why you’re blogging, or what you’re trying to accomplish. Some people thrive on this kind of wide open playing field, but others quickly become bored (or boring!). To get your blog started on the right foot, think seriously about why you’re blogging, and then make a commitment to attaining your goals. Don’t get me wrong — this isn’t a job! But, just as you wouldn’t expect good results from a dinner prepared without paying any attention to ingredients, you can’t start your blog without having a recipe for success. Preheat the oven by setting goals. Measure out several cups of good writing. Mix well with frequent updates. Sprinkle in a lot of interaction with your readers. Watching how someone else blogs is a great way of finding out how to be successful yourself! Keep track of how the blogs you enjoy are keeping you interested: Take note of how often the blogger updates his or her blog, the writing style, and which posts you find most engaging and get you to leave a comment. Just like you have many different reasons to blog, you have many ways to create a successful blog. Don’t forget that your goals and plans might not be the same as another blogger’s. Do think about what your goals are and keep those goals in mind when you start your blog. Numbers: Many bloggers are eager to attract readers to their blogs, and they define success by the number of people who visit every day. Comments: Some bloggers find the interaction with readers in the comment area of the blog very gratifying. For these bloggers, getting a comment every day or on every post might mean they’re successful. Results: Many bloggers start their blog in order to accomplish a task (such as raising money for a charity), to sell a product, or even to get a book contract (blogs have done all these things). When these bloggers meet their goal, they know they’ve succeeded! When you start your blog, take time to think about how you define success. Do you want to help your entire family keep in touch? Do you want to let your friends back home know more about your college experience? Are you starting a company and trying to get attention in the media? Consider writing your goals into your very [p2p type=”slug” value=”5-things-to-consider-before-to-start-a-blog”]first blog[/p2p] post and then returning to that post every few months to see whether your goals have changed and to remind yourself of what you’re trying to accomplish. Many people think that blogs are poorly written, misspelled, and full of grammatical no-no’s such as incomplete sentences. Most criticism has at least some basis in reality, and this case is no different. Many bloggers do write their blogs very casually, paying only cursory attention to spelling and grammar. For many, this informality is part of the charm of the format. Readers find the colloquial, conversational tone accessible and easy to read, and bloggers who write informally seem approachable and friendly. I’m not making an excuse, however, for ignoring all the rules of writing. Well written and correctly spelled blogs attract readers just as often (perhaps more often) as those that aren’t. You can develop a friendly, personal way of writing without losing touch with the dictionary. I encourage the use of spell-checking, even for very informal blogs intended for friends and family. 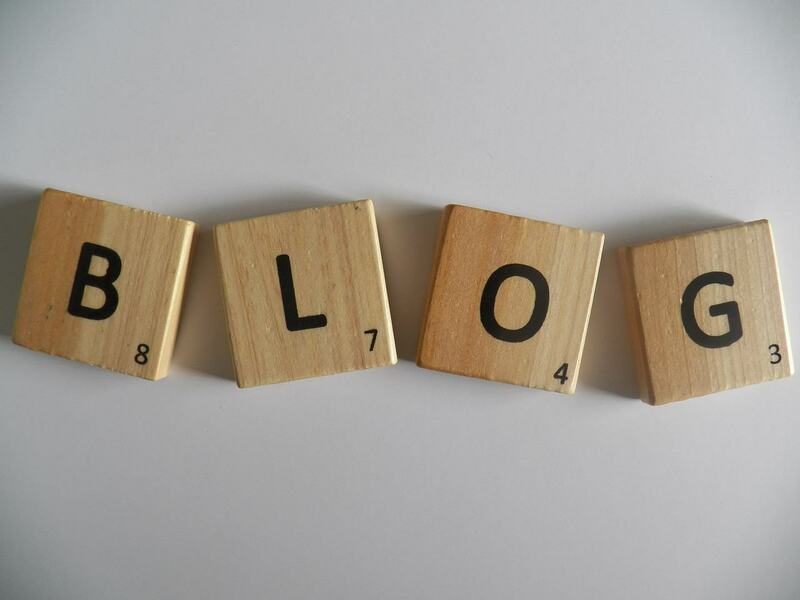 For a professional blog, don’t even consider writing without paying attention to spelling and grammar. Your readers will roll their eyes, and your competitors will get a good snicker out of it. Most importantly, however, think through your writing and consider your readers. Take the time to practice and develop a voice that sounds personal and conversational while still qualifying as good, engaging writing. Don’t let the chatty style of a blog fool you: The best bloggers spend just as much time writing a casual blog post as they would a work memo. Commit yourself to writing new posts on your blog frequently. Ah, frequently is such a deceptive little word — because really, what does it mean? For some people, frequently means every day. For others, it means three times a day. If you want a blog that doesn’t eat up every spare moment in your life but that you still update often enough to keep people interested, define the word frequently as at least two or three times a week. (If you want to blog more often than that, go to town.) This number of updates strikes a good balance for most blogs. Many bloggers use a little trick to account for periods of writer’s block or for when they go on vacation: They write posts ahead of time and then save them for later. Using your blog software, you can schedule a date and time for a post to go live, making it possible for you keep your readers entertained, even while you’re having an appendectomy or basking on a beach in Hawaii. You also need to pace yourself. In the first heady days of having a blog, the posts flow freely and easily, but after a few months, you might find it difficult to be creative. Comments make blogs really different from a website; the opportunity to interact and converse with the creator of a website and with other readers is almost unique to blogs. Forums, also called bulletin boards, offer one way to engage in online conversation on the web, but they aren’t as directed by regular posts as blogs. Everyone in the forum community is free to chime in with a topic or question. In fact, some bloggers have chosen to add forums to their blogs as a place for free-flowing conversation. Visitors to a blog have the opportunity to leave a comment on each post. Sometimes, readers leave comments in reaction to what they read; other times, they might offer a suggestion or pose a question. Because any reader can leave a comment, readers may leave comments about other comments! Blog posts often include a link directly below each post, indicating how many comments readers have left. Clicking this link takes you to a page that displays the post, any comments that readers have left about that post, and a form that you can use to leave your own comment. After someone makes a comment, it appears in the Comments area of the blog, usually labeled with the comment writer’s name, along with the date and time that he or she left the comment. On some [p2p type=”slug” value=”small-business-blogs-fresh-ideas”]popular blogs[/p2p], readers compete to see who can leave the first comment on a new blog post. Not every blog allows comments. Many popular bloggers find that they’re overwhelmed by the sheer volume of responses that they get and must turn off comments because they can’t keep up with them. We should all be so lucky to have that problem. For most bloggers, comments are an important way to develop a dialogue with readers. I recommend you keep comments turned on in your blog. They’re an easy way to involve your audience in your topic and to get valuable feedback about what you’re doing with your blog. Unfortunately, spammers can take advantage of comments as easily as they can send you unwanted e-mail. If you keep comments turned on, you get unwanted comments that have commercial messages, unless you take preventive measures (which is becoming easier to do). You or your readers might even find some spam comments offensive, just like some kinds of spam e-mail. If you decide to allow comments on your blog, be sure to read them and delete inappropriate messages. Your readers will thank you. I am really really thankful to you for this article.